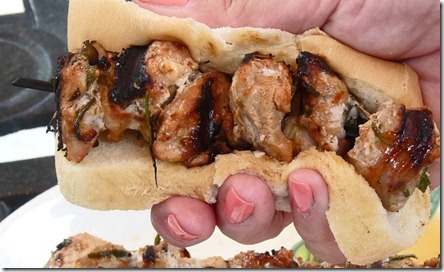 Fork in the Road’s post about the availability of spiedies in Brooklyn (pictured above) garnered so many “WTF!? comments” that they are taking a spiedie road trip to investigate. 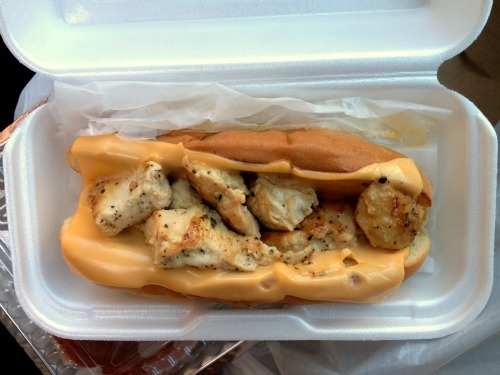 The Brooklyn sandwich they originally wrote about–with its american cheese and hot dog bun–looks less like a spiedie and more like a school lunchroom abomination. I’m sure they’ll find something more authentic (pictured below) in the Southern Tier.